Students at Clarendon Alternative Elementary School honored Japanese American civil rights activist, Fred Korematsu with a theatrical performance during the school’s 6th annual “Stand Up For What’s Right” assembly. The assembly is an extension Civil Rights curriculum provided by his daughter, Karen Korematsu. Fred Korematsu was one of a few individuals who refused to comply with military orders to be forcibly removed along with over 120,000 persons of Japanese ancestry and placed in internment camps during World War II. When he challenged the U.S. Supreme Court for this action, it was decided 40 years later that the internment camps were unconstitutional. His petition later influenced the federal government’s passage of the Civil Liberties Act of 1988 in addition to a Presidential pardon and reparations for all Japanese in America who endured the camps.The student performance told this story as well as parts of his life. Karen Korematsu teaches the curriculum at Clarendon by sharing modeled lessons and telling family stories to help students prepare for the annual performance. This year, for Mr. Korematsu’s 100th birthday celebration, students performed the play about his life and the story of how he influenced the Supreme Court decision. Mr. Korematsu’s growing legacy continues to inspire people across diverse communities and demonstrates the importance of speaking up to fight injustice. 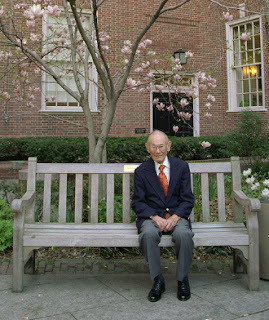 Fred Korematsu died March 30, 2005.